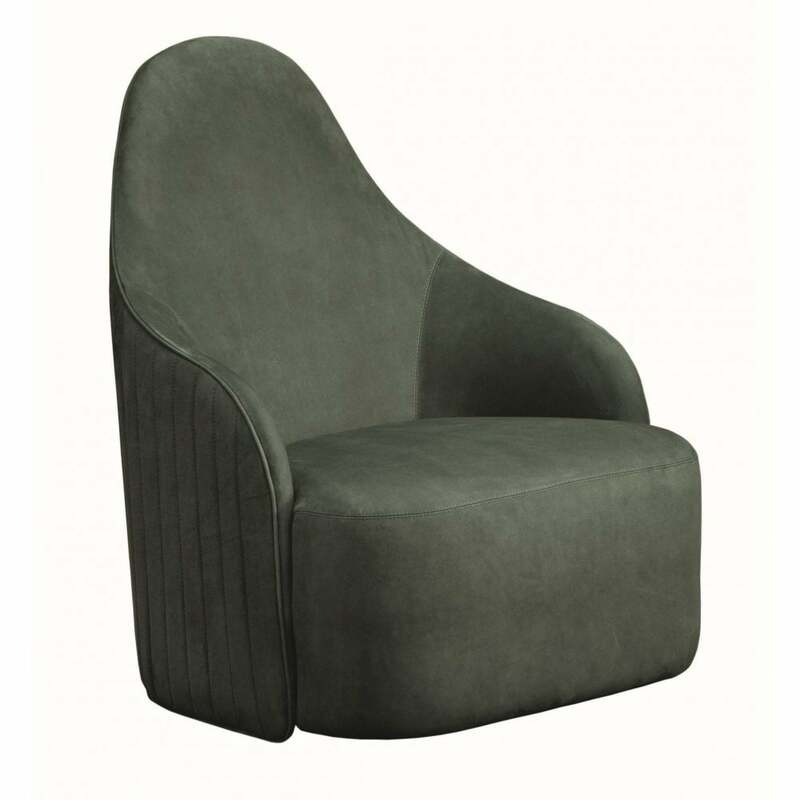 A striking armchair featuring simple and elegant lines, the Luna Armchair by Daytona will make a statement in any home interior. Covered in a soft layer of goose-down, the plywood structure has a swivel base upholstered in designer grosgrain leather. The deep seat and sumptuous backrest provides ultimate comfort for long evenings relaxing in front of the fire. A signature Capitonné process is applied to the backrest with vertical stripes creating depth and texture. The deep green hue of the Luna Armchair looks beautiful paired with burnished brass and gold accents. Style with the Leo Sofa to establish a glamorous living room setting that exudes Italian glamour. Luna can be realised in a range of fabric and leather options. Get in touch with our team to create your own bespoke design.